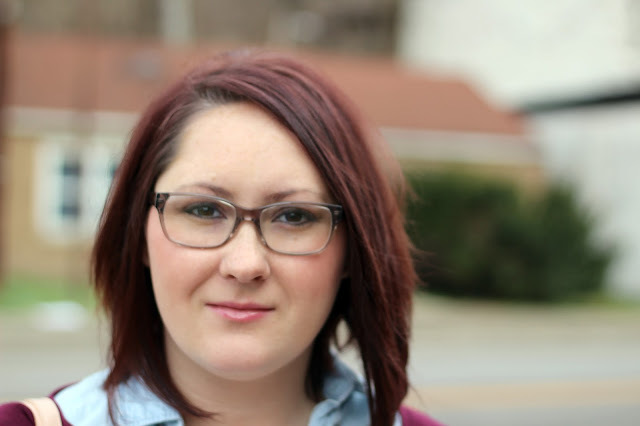 This week's featured blogger is Taylor from Tattooed Teacher. Taylor is a Texas girl. She is also a high school social studies teacher. She is also a cat mama. 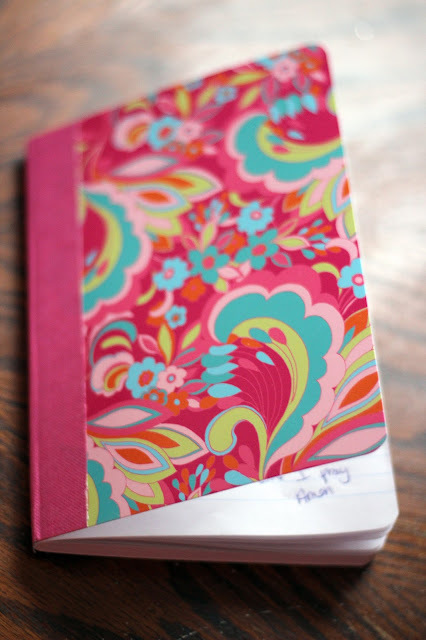 She is a planner and has some really great posts on planner journaling. Taylor also gives inspiration and advice to new teachers which I can definitely use. 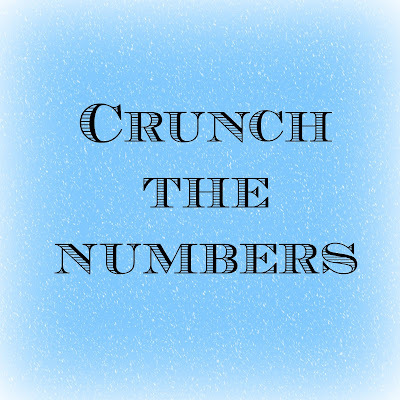 Please stop by her blog and say hello. This week has been a fascinating week. It started out being snowed in by Snowmageddon 2016 and on Monday night we traded cold Kentucky weather for warmer weather in Georgia for Justin's work. He had training all week, so Raylan and I got to tag along. No snow here which is definitely a plus! Pray for safe travels as we are on our way home today. Let's recap to some of my favorites from this week. 1) We had 18 inches of snow and it was so beautiful. Even though we were stranded for a few days, it reminded me that sometimes God wants us to slow down in this crazy busy life and just know that he is God. I truly believe sometimes God does things like this to get our attention and make us realize that we need to notice him more. 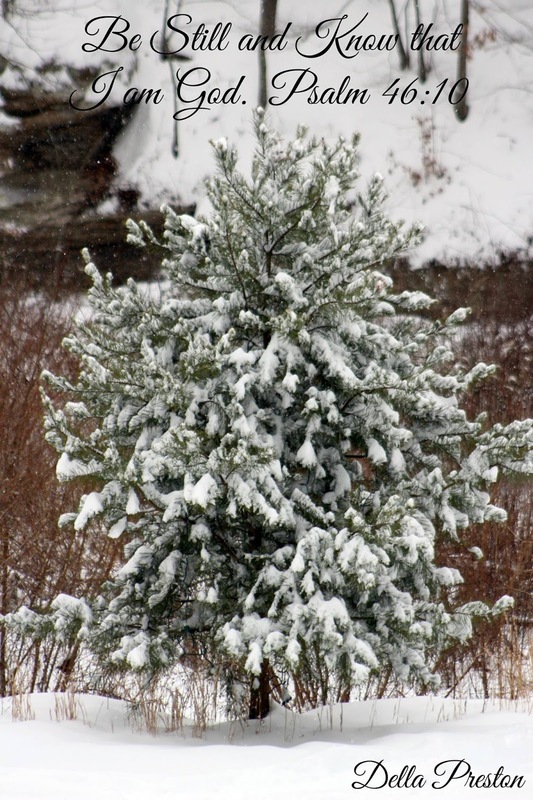 I love this photo of a lonely pine tree that I took. 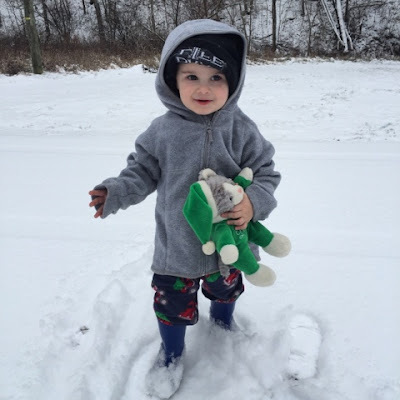 2) At first Raylan hated the snow, he was afraid he was going to fall. I don't blame him though because it was almost up to his waist. 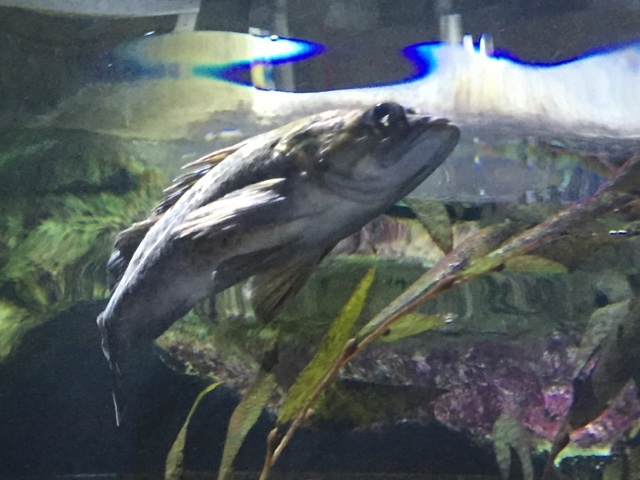 He couldn't really move. 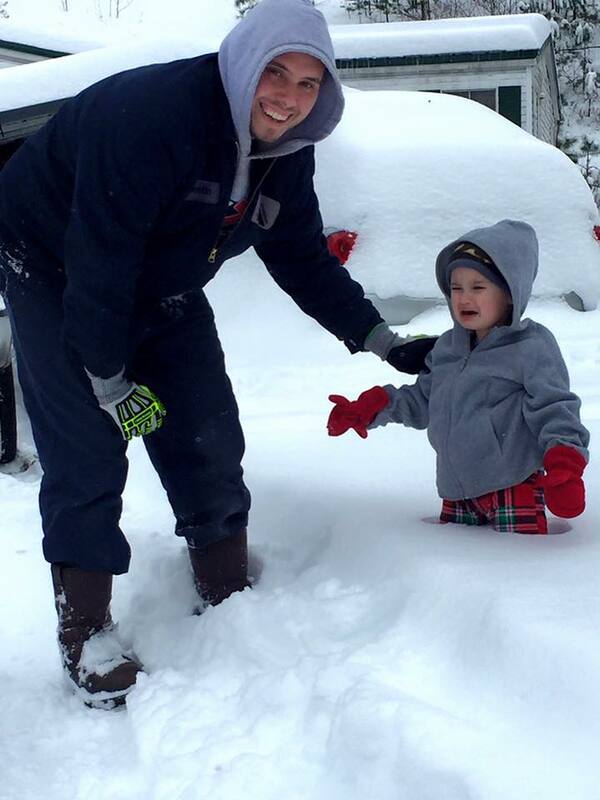 However, he did love having a snowball fight with his daddy. 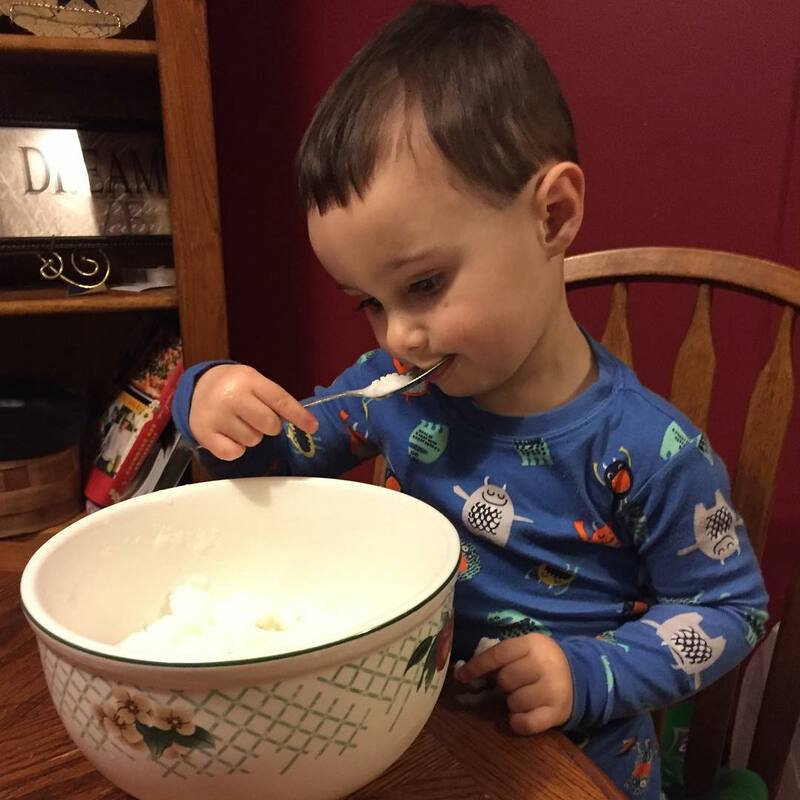 3) While being snowed in, Raylan and I made homemade Snow Ice Cream. He sure loved it! 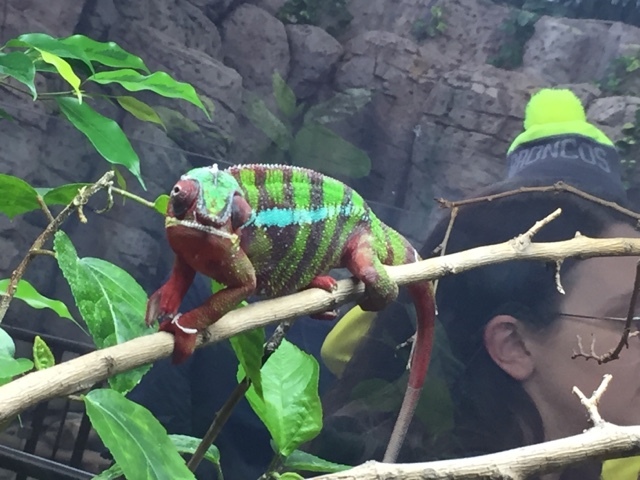 It was his first time ever eating it! 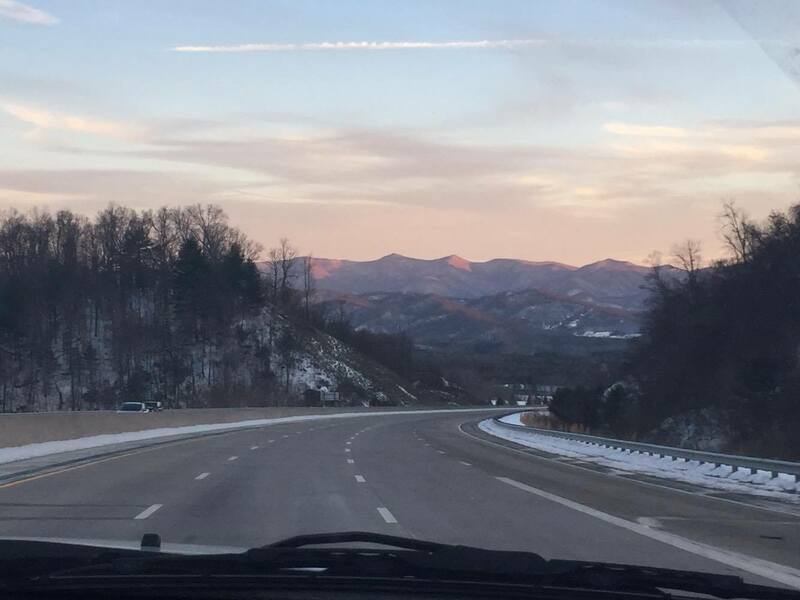 4) On the way to Atlanta, we saw some beautiful snow covered mountains. God's coloring book sure is breathtaking. I'm in Awe of such beauty! It sure isn't anything like our Kentucky Mountains but I'm glad that I have had the experience of getting to travel to a place that I have never been. 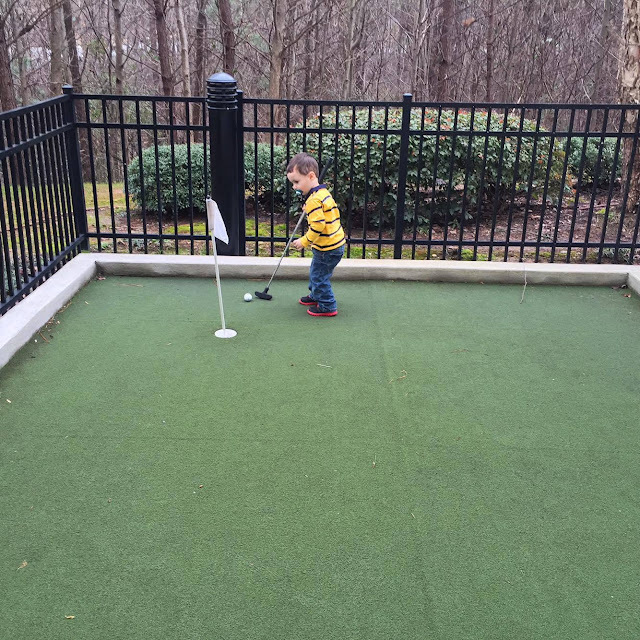 Meanwhile back at our hotel, I think Raylan is going to play golf one day. 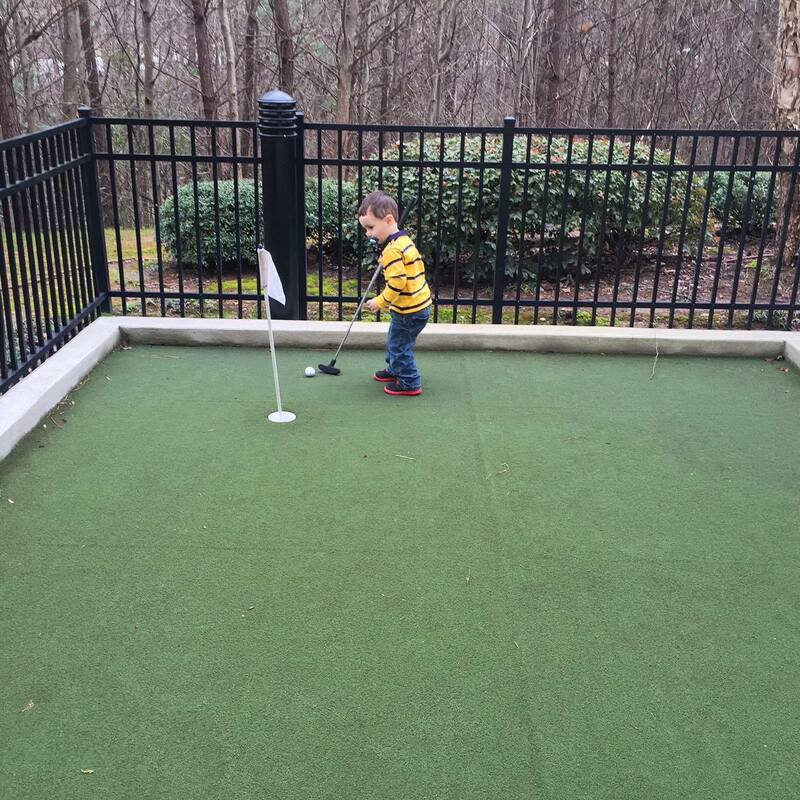 He sure loved playing mini golf :) I love the serious look on his face. Well that's it for me. Thanks for stopping by! Have a safe and blessed weekend! God Bless You! At the start of 2016, one of my main goals was to grow stronger as a Christian and get closer to God. I also set a goal of starting a prayer journal. I had always prayed but I felt as if I was lacking in the prayer department. 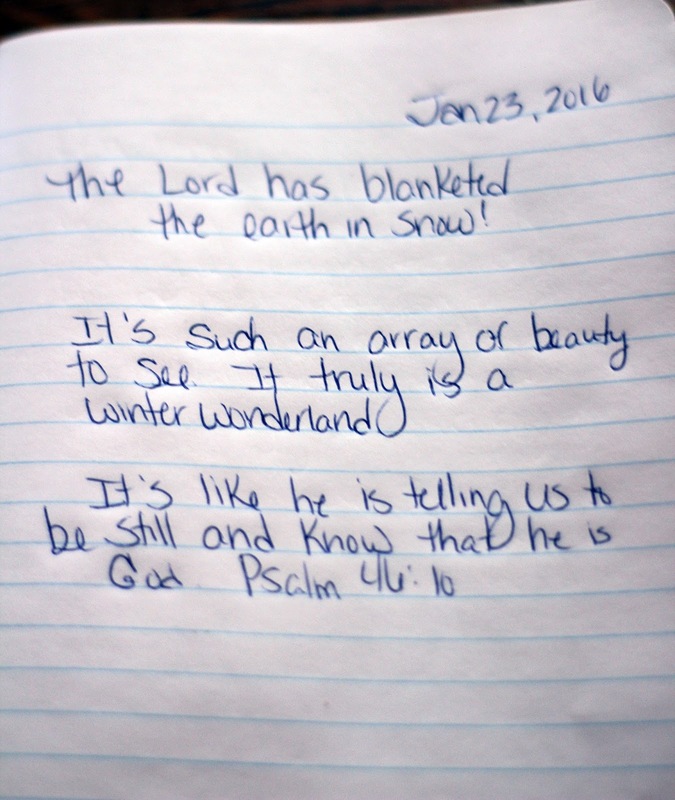 I just didn't realize how much until I started my prayer journal. Starting a prayer journal has changed my life for the better. I picked up this basic Lilly Pulitzer replica notebook from Walmart. 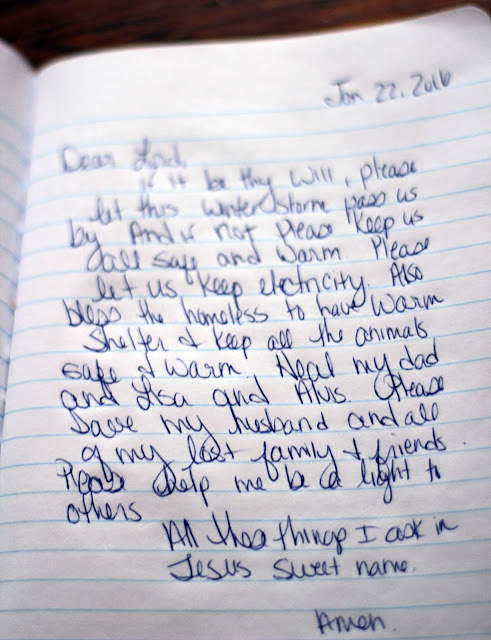 A journal doesn't have to be anything extravagant. Only God see's your thoughts unless you want to share them with someone. Having a prayer journal has taught me that no matter how short or lengthy your prayers are, God still hears them all! It has taught me to really pour my heart and soul out to God. Now we have all had a heartfelt prayer a time or two, but when you start putting your words on paper, they seem to just keep pouring out. In this particular entry, I let out my feelings on just how discouraged I was over my dads health. It's a great way to let out any anger and frustration and let God know how you really feel. He wants to hear from us even when we are upset. A Prayer Journal is also a great way to give thanks and to keep track of all the good things God has done in your life. At the end of the year, you can reflect on all of God's blessings that he has bestowed upon you. It's a great way to pray for blessings on others and in this particular case pray for the lost souls as well. A Prayer Journal is also a way to pray for others. How often do we see on Social Media that someone is in need of prayer? We say that we will pray for them but a lot of times we keep on scrolling through Facebook and forget to pray. I like to grab my journal and write their names down. 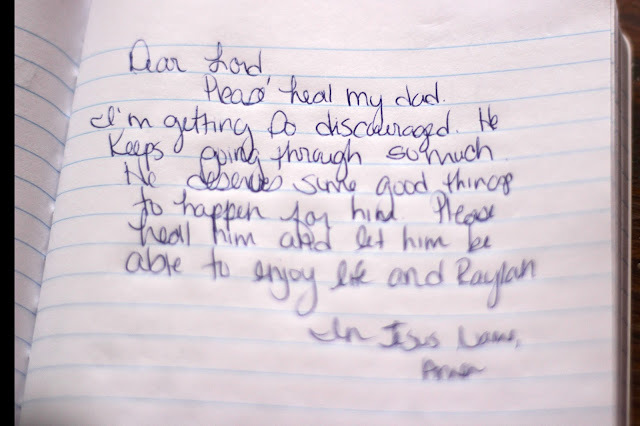 This way when I go through my journal at night, I can honestly say that I prayed for that person. and last but certainly not least, prayer journaling greatly helps you study the word of God. I like to write down verses that are pertaining to a certain situation in my life at the time. For instance, in this particular case I wrote down verses about snow. When everyone was complaining about the 18 inches of snow that we had, I was writing down some verses that had the word snow in it. Some examples of verses that could be written down are in times of worry, grief, depression, money issues, decision making, sickness and so on. Whatever you are dealing with in life, there is an answer to your problem in God's Holy Word. It's nice to just write down verses of praise. You can never praise God enough. Be sure to thank him for each and every day of life! Prayer Journaling has greatly impacted my life. I feel that I am on the right path to being a stronger Christian, to having a closer relationship with God and I feel more at peace. My prayer life is definitely improving as well as learning to give thanks and study the word of God more often. I highly recommend that everyone start a prayer journal. It's one of the best decisions I have ever made. 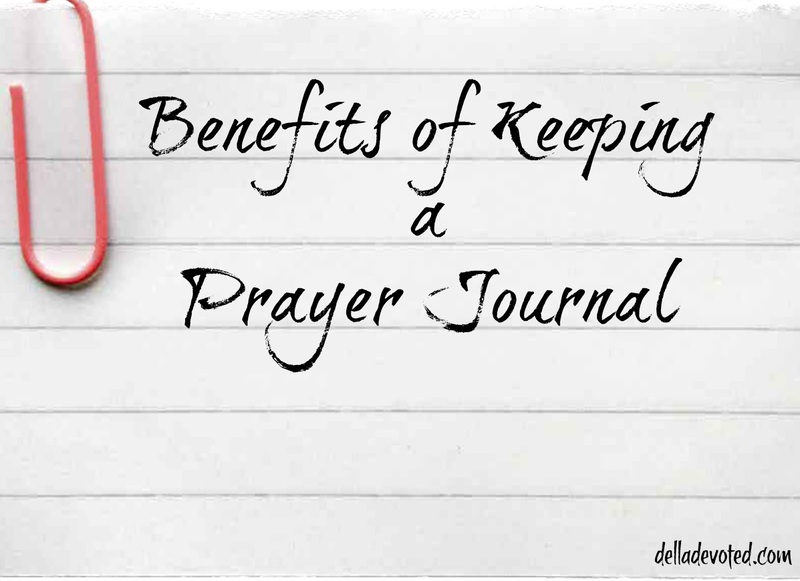 Starting a prayer journal has changed my life for the better! 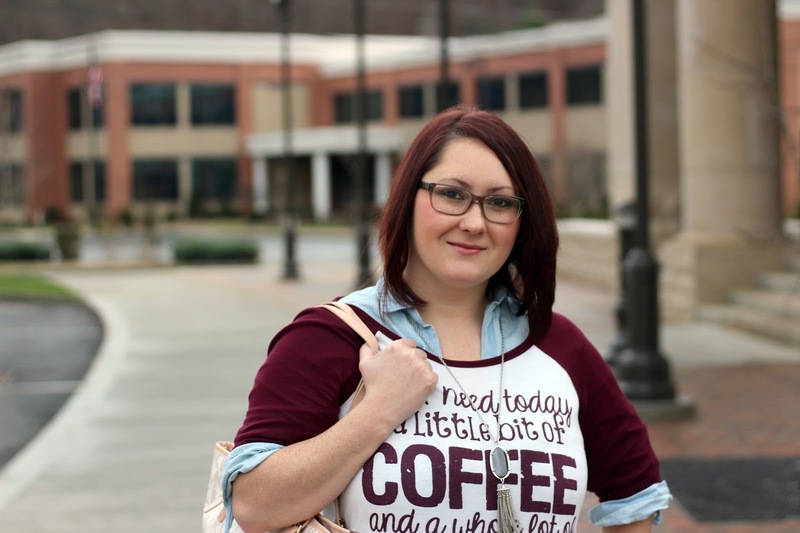 This week's featured blogger is Melissa from The Happy Little Hive. Melissa enjoys cooking, DIY, crafting, party planning, and reading. She also loves antiques and homemade goodies. 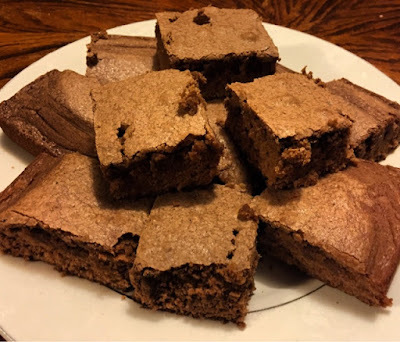 Melissa posts a lot of recipes and DIY Projects. Please stop by and say hello. Happy Friday Everyone! I hope you all are safe and warm. They are forecasting a lot of snow for us and I dread it. Don't get me wrong, I love a good snow but not 12-18 inches of snow. I guess it's time to catch up on some reading and cook some yummy food. Anyway, lets recap to my favorites from this week. 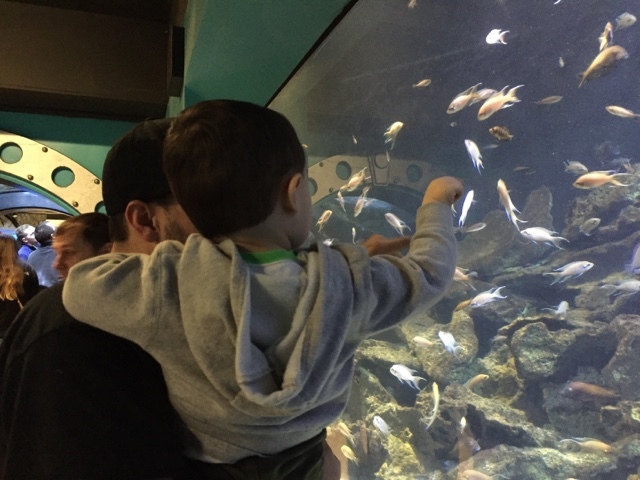 1) Over the weekend, the hubby surprised Raylan and I with a trip to the Aquarium. It was a nice little relaxing weekend getaway. Raylan truly enjoyed himself. You can read more about our trip here. and while we were on our weekend trip, I stopped in the nearest Party City and picked up some dinosaur themed things for Raylan's second birthday party. I think my little dinosaur lover will approve. 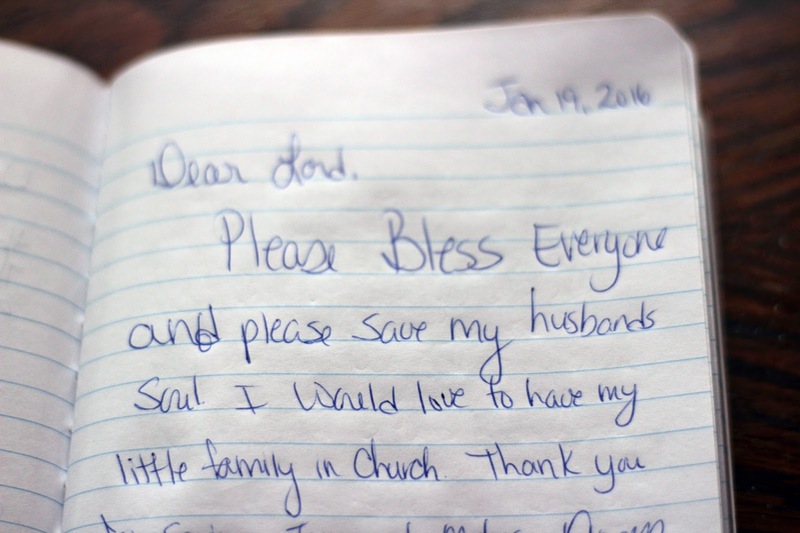 2) I started Prayer Journaling this week. It's amazing how much better I feel since I've started this. 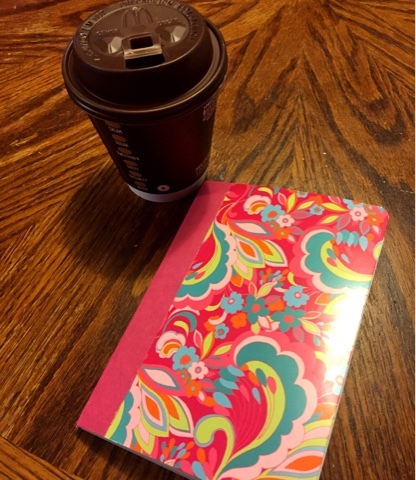 I picked up this super cute Lilly Pulitizer replica notebook at Walmart and It is just perfect for my prayer journal. 3) We've been snowed in all week so some hot chili and delicious brownies were definitely on the menu. I love good comfort food! 4) Raylan loved the snow! 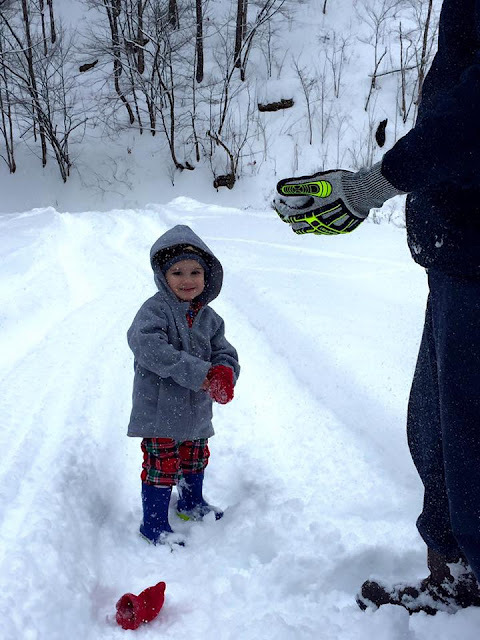 He had SNOW much fun! 5) I am happy to announce that I won a 6 month membership for Rocksbox through Instagram. Excited is an understatement! I love Rocksbox! That's it for now. Thanks for stopping by! Have a great and safe weekend. God Bless You! Lately stress has become a normal part of our lives. The stress of my dad's kidney failure and having to be on dialysis. The stress of Raylan staying sick and of course his food allergies. The stress of Justin and his kidney problems. Add in school and finances to the mixture and it's just one big mess. I have been keeping migraines most likely stress related. Justin knew that we needed a break. So he conspired with some friends of ours, and we ended up on a surprise weekend getaway. It was a huge surprise for me. They booked a hotel room and planned a weekend trip. 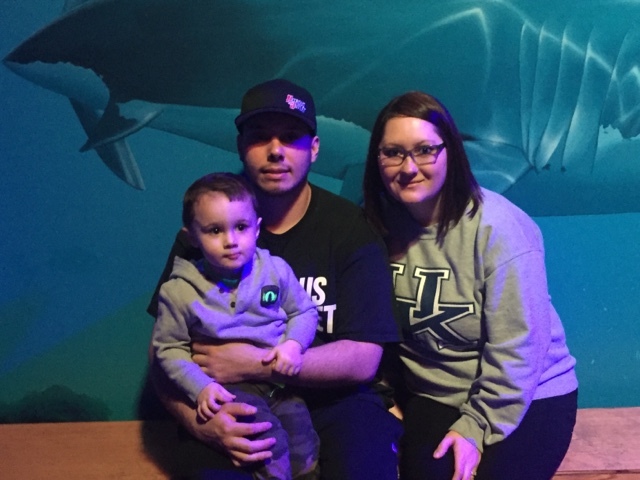 So with our friends and their daughter, us and Raylan in tow, we headed off to the Newport Aquarium which is about 3 hours away from home. 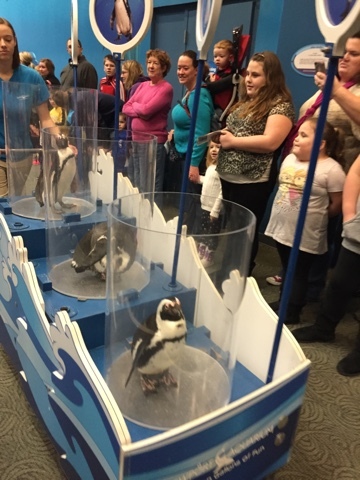 We knew the kids could use a little fun too! We all had a wonderful time, especially the kids. 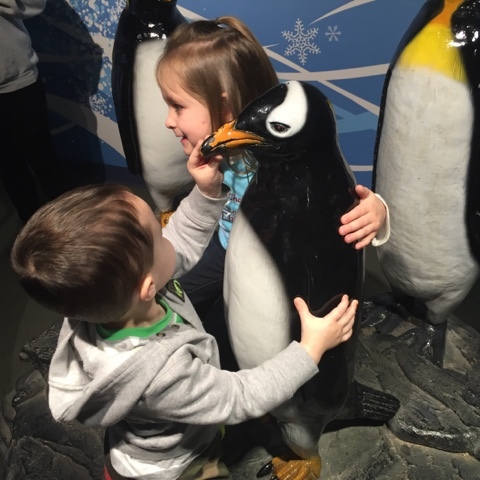 I think they liked the Penguins the most. 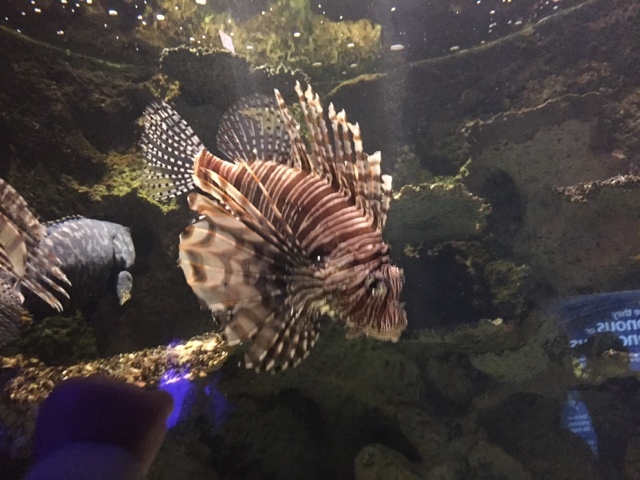 Newport Aquarium is the largest aquarium that I have been to. 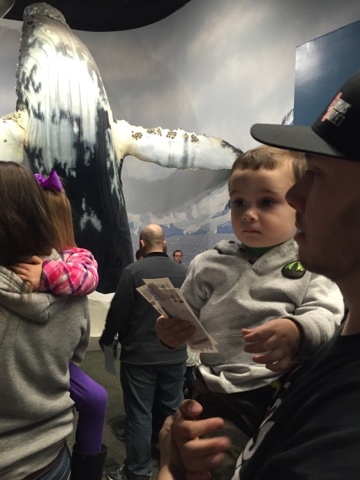 It houses thousands of animals in a million gallons of water. 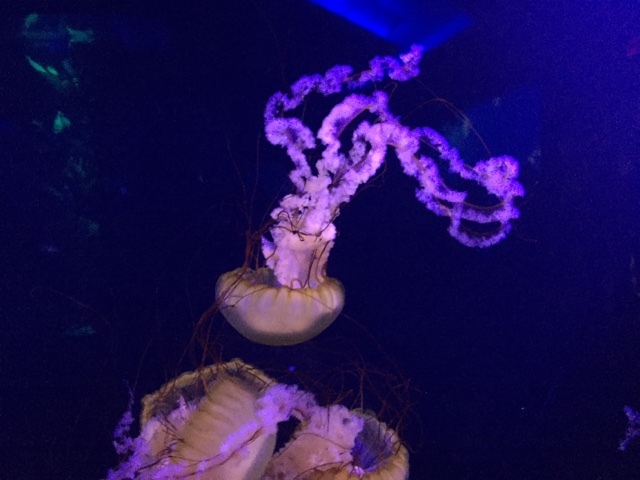 It is known to be one of the best exhibits in the U.S. It has countless things for adults and children to see and do. I have many more photos but naturally I couldn't upload them all. 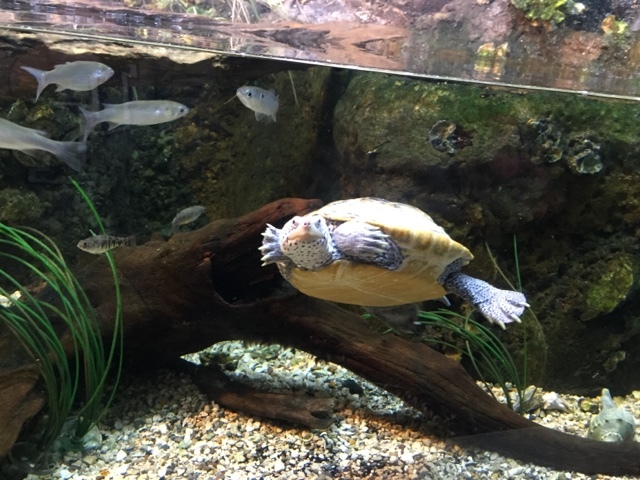 Newport Aquarium even has a few different restaurants inside as well. We had the full experience and couldn't be more satisfied. 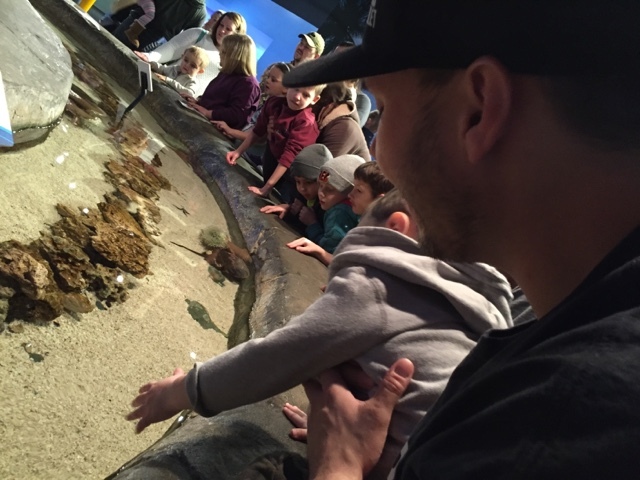 We all loved it and are definitely planning on going back soon. The getaway also included shopping which is always a win in any woman's book. 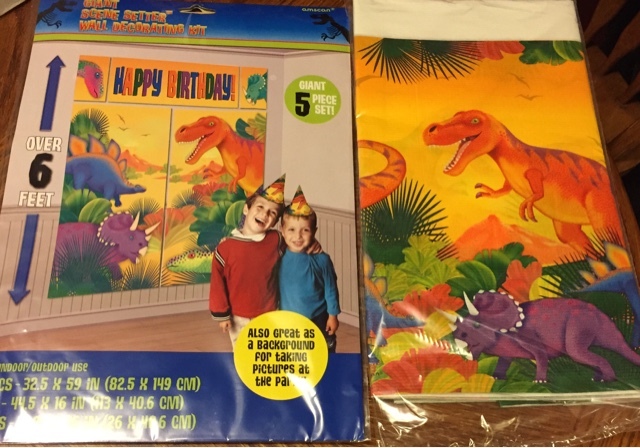 I also stopped at Party City and picked up some things for Raylan's upcoming dinosaur themed birthday party. I think this theme will be so cute for my little dinosaur lover! And of course no trip is a trip without some good food! It was so nice to getaway and have a change of scenery. 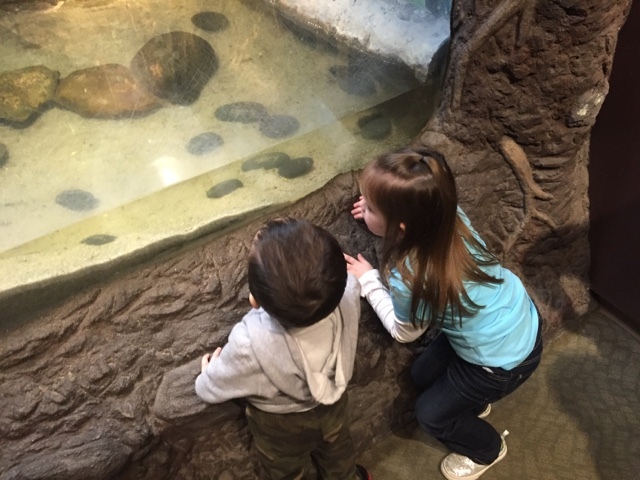 The children and adults both enjoyed themselves and got to do things they wanted to do. This trip was definitely relaxing and a stress reliever too! It's just what we needed! I'm so thankful for surprise last minute trips and for good family and friends. God knows exactly what we need. Isn't God Good? 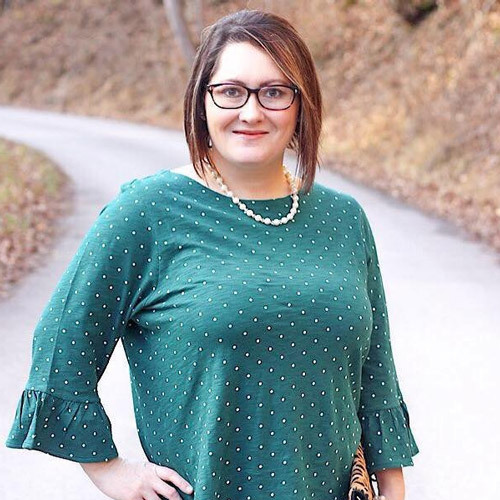 This week's featured blogger is Holly @ While I'm Waiting. Holly is a Texas Girl married to a California boy. She is a stay at home mom of three. Holly is a servant of God and loves to serve others. I love her blog post Waiting for Courage. It's a must read! Holly has such a wonderful uplifting blog. I know you will love it. Please stop by and say hello. 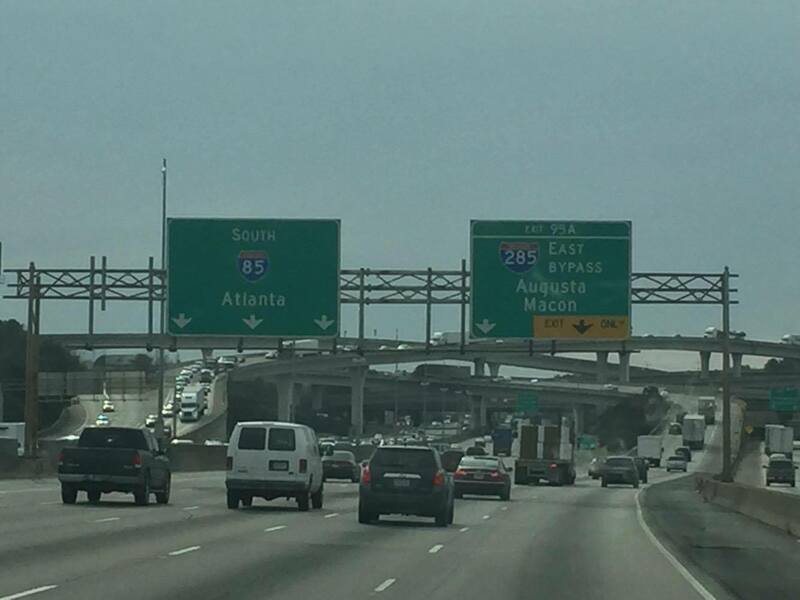 *Announcements: Starting next week, the H54F link-up will go live at 8 a.m. eastern time instead of 7 a.m. eastern time. Also, we will finally switch our link-up tool to one that utilizes thumbnails. We are so excited for the changes we have planned for the link-up this year!!! TGIF!!! This has been one chaotic week. Raylan was sick last week, classes started back this week and Justin ended up back in the ER again. Please say a prayer for him. He sees a Kidney Specialist on Monday. Hopefully he can get some relief. Nevertheless, there were some really good parts to the week and there is always something to be thankful for. Let's take a look back at the good parts. 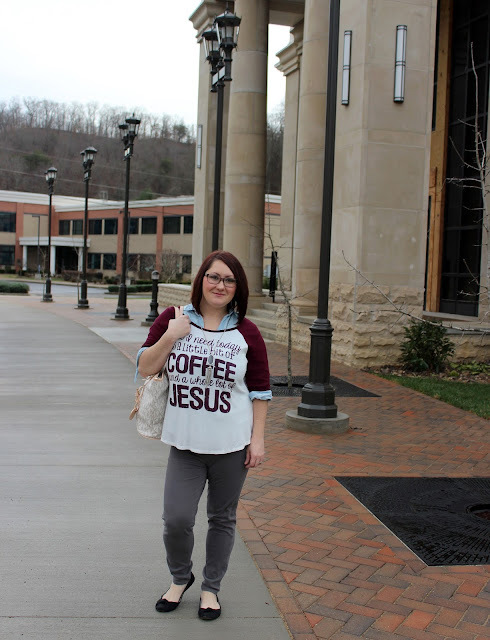 3) Did you catch Wednesday's post of Not Another Frumpy Mom #OOTD? This was absolutely one of my favorite outfit posts that I have done. Just because you are a mom doesn't mean that you have to dress boring. 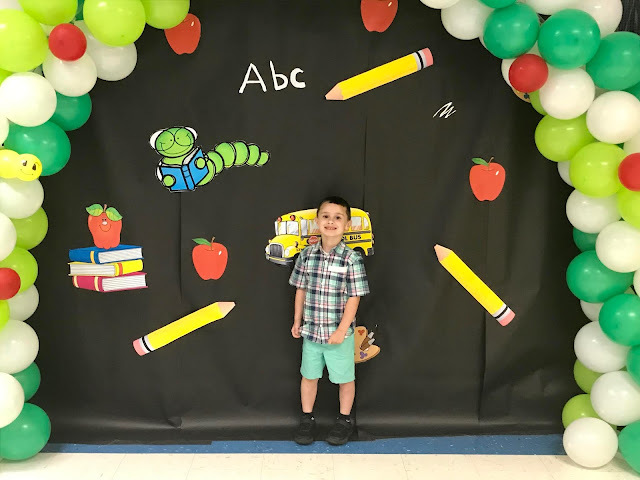 Tif was my photographer for this post! 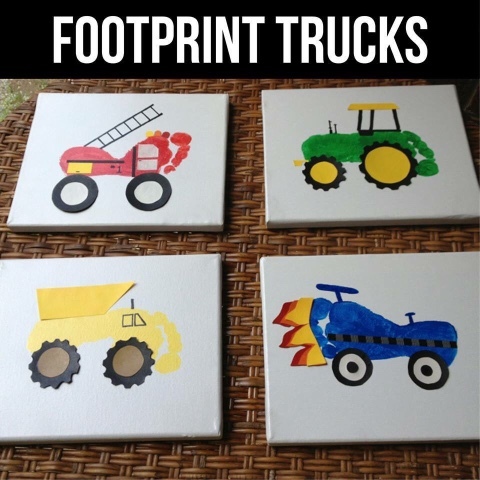 4) I saw this adorable idea of Footprint Trucks on Facebook this week. I can't wait to try it with Raylan. It's so amazing that you can do so many things with Footprints. They make such great keepsakes. 5) Now that the Holidays are over, the H54F girls have started back with our monthly google hangout. Did you see last nights hangout? If not, you can watch it here. It's always so nice to be able to see each other and have a good chat. That's all for today. Thanks so much for stopping by! Have a great and safe weekend. God Bless You! 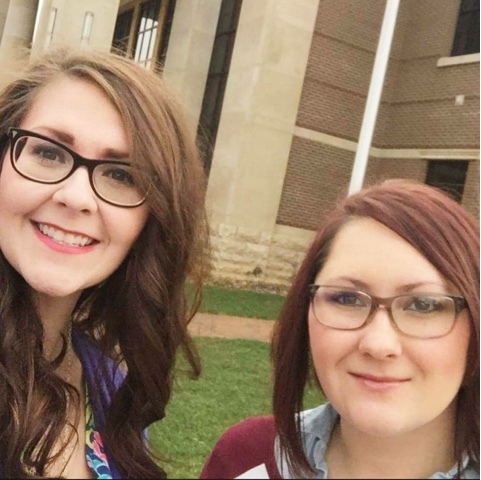 It's time for another High Five for Friday hangout with my buddies Katie, Caitlin and Tif! Tonight is going to be such a fun topic - we'll be chatting all about Christmas 2015 and goals for the New Year. So join us TONIGHT at 9:30PM EST for the LIVE Google Hangout! At 9:30PM you'll be able to watch a live stream of me, Katie , Caitlin and Tif gabbing away! 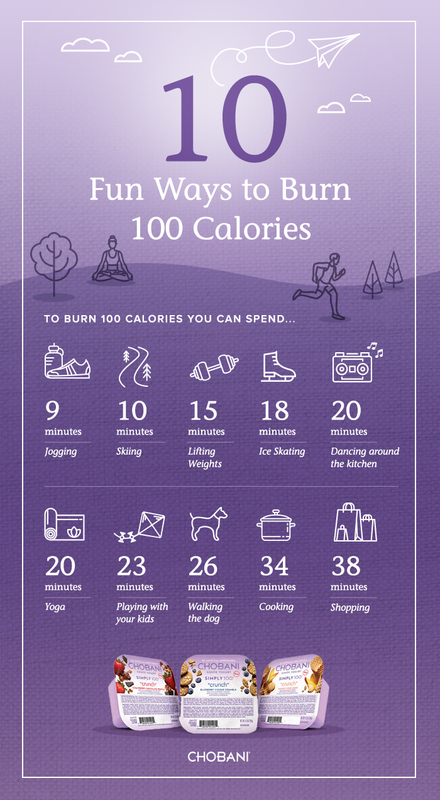 There are quite a few ways to watch! You can watch right here, on this post! You can also watch on Google+ or YouTube! If you can't make it, don't worry about that either! We will be recording, and it will be available to watch later, whenever you want. We are so excited to have you join us at 9:30PM tonight! We loved how engaged and chatty everyone was last time, so hope to see you all out again tonight! Being a mom is exhausting no matter if you work or stay home. It's hard work but it's also the most rewarding job we could ever have. I love being a stay at home mom to our son! I am so thankful that God has blessed me to be able to stay home with Raylan for this long. I don't know how long it will last with the way the economy is, but I will forever be grateful for the time I have been allowed to stay home with our baby boy. Stay at home moms get a bad reputation. People call us lazy and say that we don't do anything. Boy, isn't that a lie? We also come across as frumpy. Well that's just not the case. Stay at home moms can be fashionable just the same as anyone else. You know we don't always stay home. 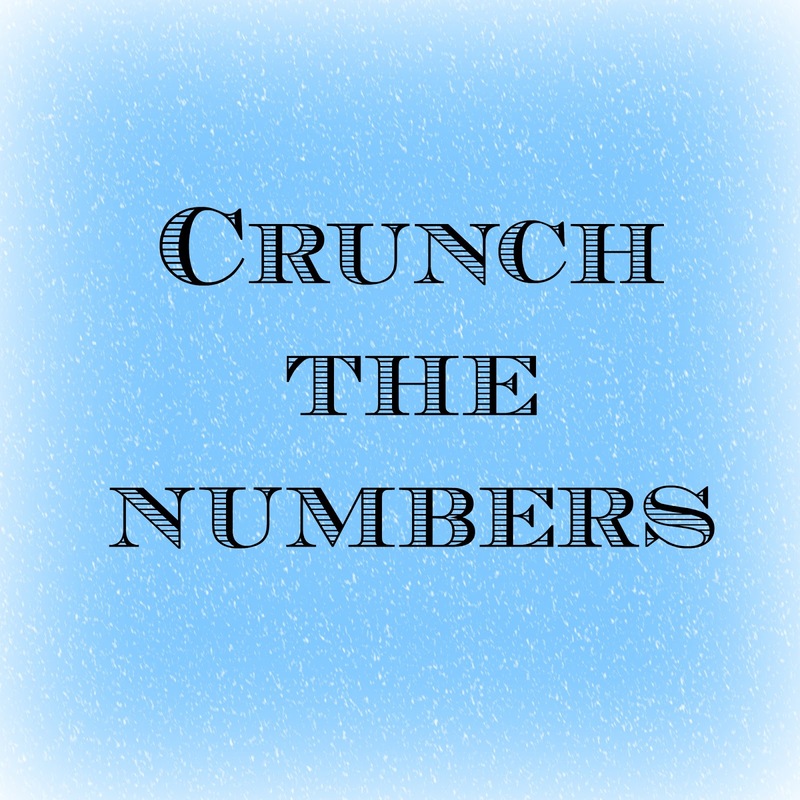 There are errands to run, doctors to visit and so much more. 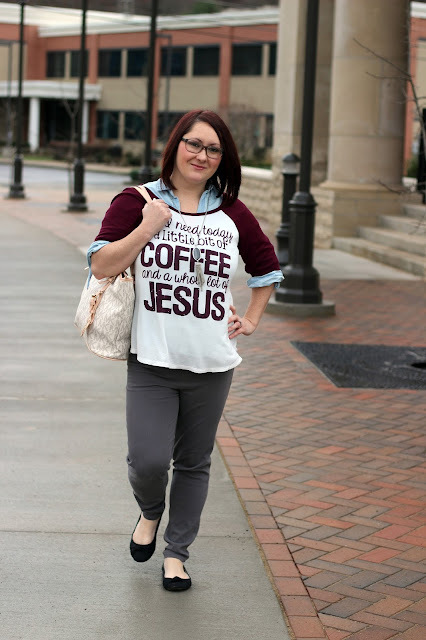 Here is one of my favorite and most comfortable looks to wear around the house or to run errands. 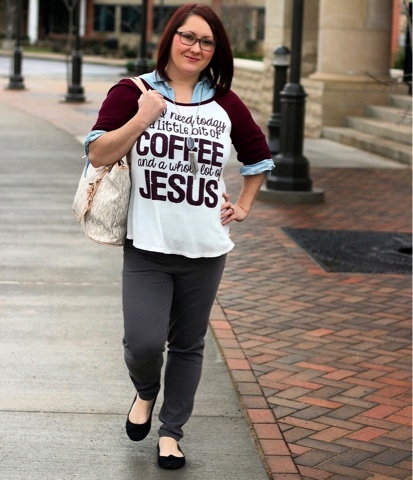 This Coffee and Jesus Shirt says it all. If you're like me, you run off of Coffee! And of course we all need Jesus. 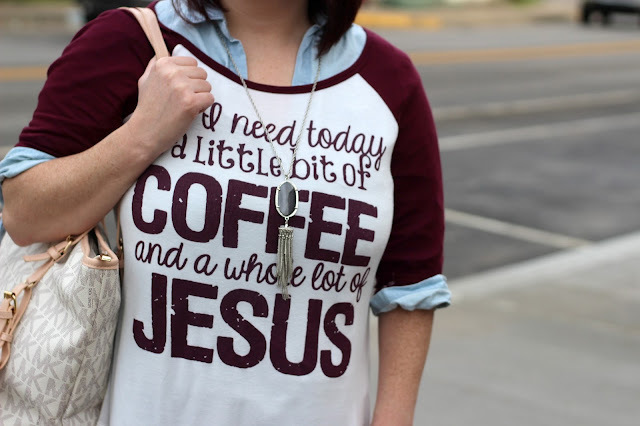 You can never have too much Jesus! I paired this baseball tee with my favorite Chambray Popover shirt. See, it doesn't look slouchy or over the top! I also added some gray jeggings and black flats. And of course no outfit is complete without accessories! It's a stylish and sophisticated look! I love outfits like this. It's modest and comfortable. Mom's don't have to boring especially not with their fashion. I'm a firm believer in having fun with fashion while being comfortable at the same time. 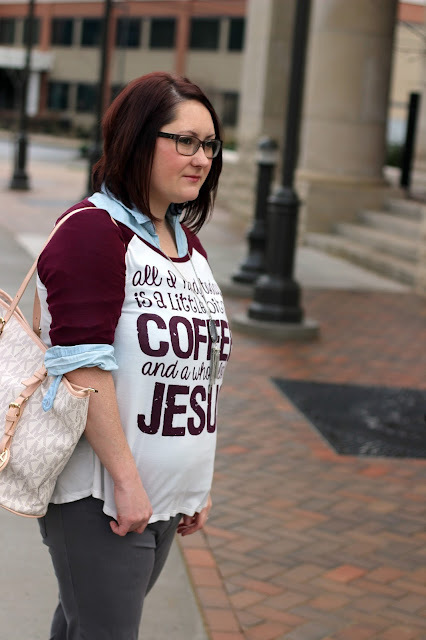 Just because you're a mom doesn't mean you have to dress frumpy. Thanks for stopping by! I would love to see your Stylish Mom Looks! God Bless You! 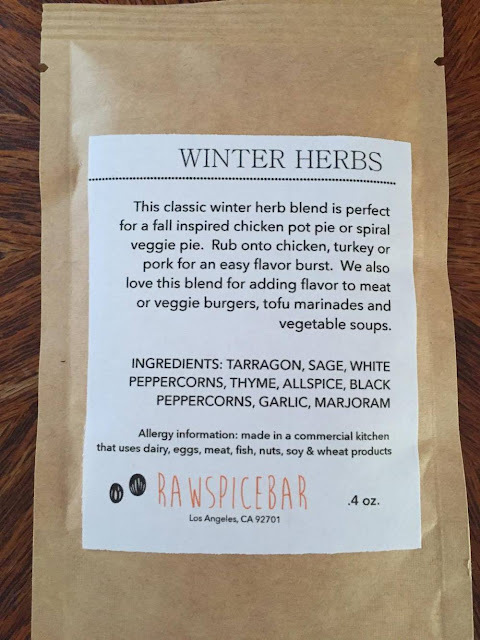 *The spices in this post was provided to me by Raw Spice Bar in exchange for sharing my experience with their products. However, ALL opinions are my own. Monday, Here you are again! Couldn't you have stayed gone just a little while longer? I think we can all agree that we don't care for Monday's. It's a new week and It's also time to plan the menu for the week. I have a recipe that will be perfect for your dinner table this week and will make your Monday and week a little less stressful. 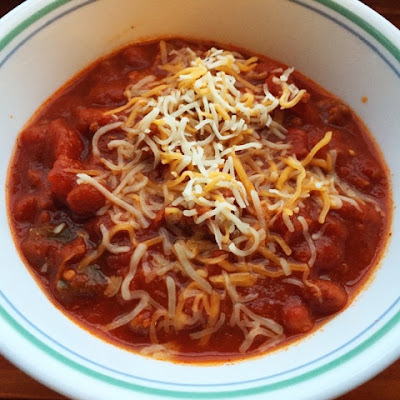 As a busy mom, I tend to love quick and easy dinners and this recipe is just perfect for busy people. I present to you the oh so tasty Salsa Burger with Raw Spices. Now we have all tried the traditional burger, but have you ever added just a little twist to your burger? I flavored mine with Raw Spices from Raw Spice Bar. Raw Spice Bar is a subscription box for people who love to cook like myself. Every month you receive 3 freshly ground, global flavors. Some include India, Japan and Turkey. Each box includes 3 recipes that are kitchen tested and a history of spices from that region. Raw Spices adds some zest to your cooking regimen. I added the Winter Herbs packet to the hamburger meat. I made sure to blend the spices in well with the meat. Once your hamburger meat is patted out well, grill or fry the hamburger patty like you normally would. 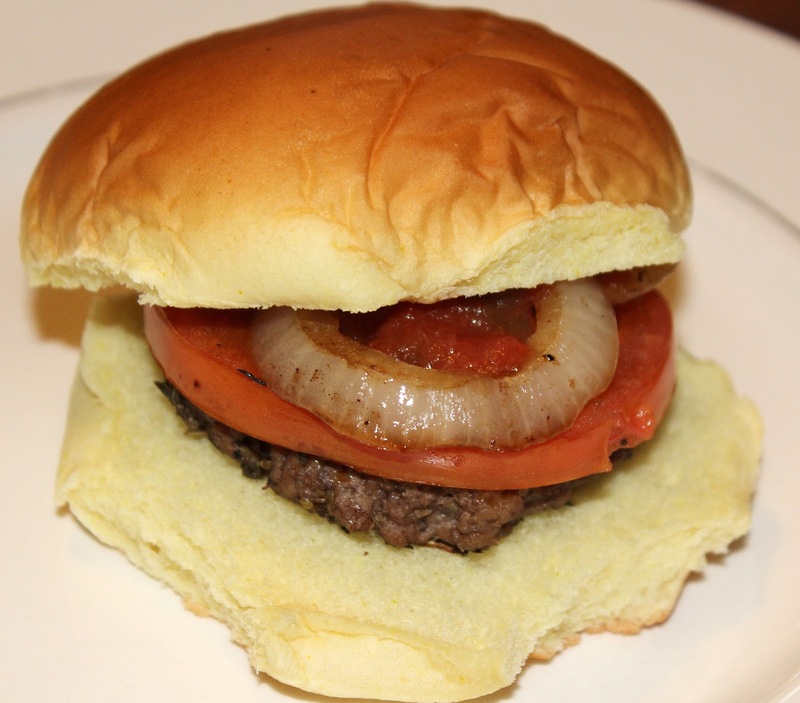 While the hamburger meat is grilling, go ahead and saute' onions, tomatoes and any other toppings that you prefer. 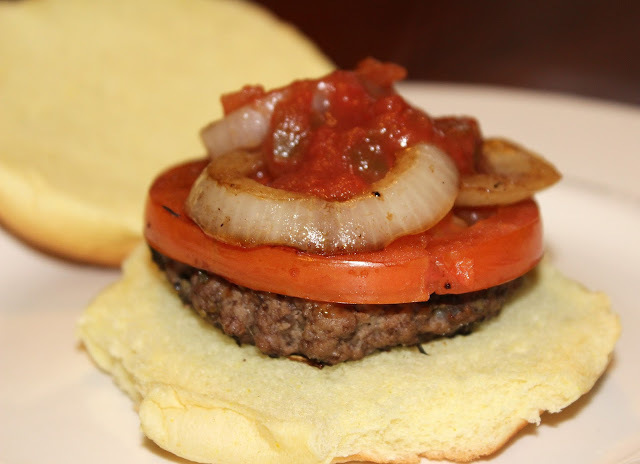 Once both hamburger and vegetables are done, place on hamburger buns and add some salsa on top of vegetables. I prefer homemade Salsa but if you're in a hurry, your favorite store bought salsa will do. Now you have a quick, delicious and savory burger. It definitely spices up the normal burger! You will never want another regular burger again. This will be your favorite go to recipe from now on. It's perfect to serve for dinner or get-togethers. This burger will be on my list of things to make for the upcoming Super Bowl. Don't forget to serve it with your favorite chips or fries! My Experience with Raw Spice Bar was wonderful. I received the spices in a very timely manner. Raw Spices brought excitement to the dinner table. I love trying new recipes and I love to spice up old recipes. Raw Spices is perfect for anyone who likes to cook and even for those who don't. The spice blends make recipes so much easier. What I enjoy the most about Raw Spices is the variety of Herbs and Spices that you receive. I also love the endless possibilities that you get with these spices as well. There isn't a recipe that you can't spice up. You can even add these blends to some desserts. Using Raw Spices is definitely a win in my book! 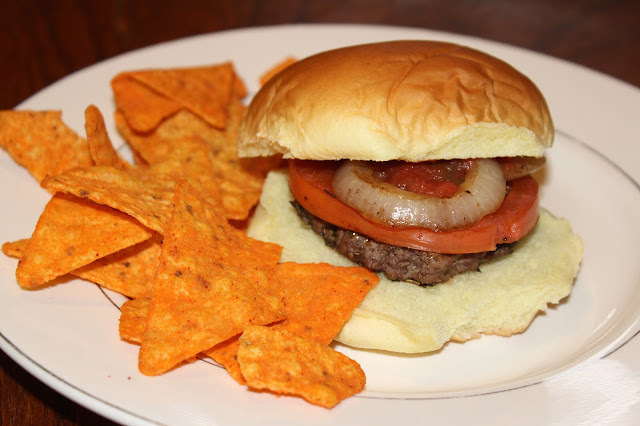 Have you ever made a Salsa Burger? If so, how do you spice yours up? Don’t Forget! Our next H54F Hangout will be January 14 at 9:30PM EST! Mark your calendars now. Can’t wait to hang with you all! Come back here to the blog Thursday night at 9:30PM for ways to watch LIVE!